Certain vitamins can play an important role when it comes to mental health, mood swings or dealing with frustration and stress. The right vitamin supplements, when taken on regular basis, can help boost the immune system, stimulate various glands and the digestive system, promotes blood circulation in the body which will normally contribute to feeling energetic, vital, and good. 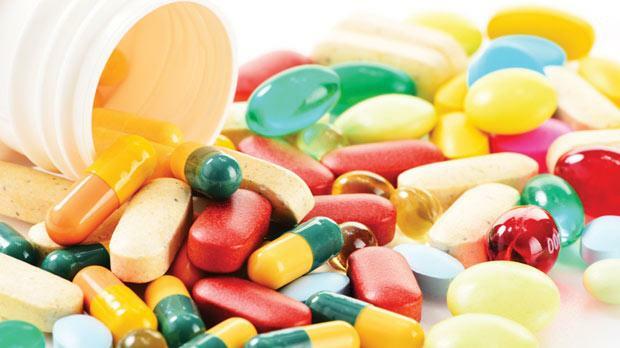 Before taking any vitamins for the mood swings on your own, you should consult your healthcare provider. Only he/she can tell you which vitamins are best for you in order to relieve the stress, frustration and to avoid mood swings. One of the great benefits of vitamin A is to protect the human body from viruses, bacteria, parasites, etc. They all can cause mood swings. This vitamin works by supporting the maintenance of healthy mucous membranes in the human body, making it very difficult or impossible for these germs to invade it and to cause illnesses. Vitamin A is also known to boost the immune system of a person by enhancing the activity of T-cells, known for their important role against various infectious diseases. For women the recommended daily intake of vitamin A is 700 micrograms, while for men the recommended daily intake of vitamin A is 900 micrograms. Various vitamins such as vitamin B1, vitamin B2, vitamin B6, vitamin B12, etc., make the vitamin B complex. Vitamin B complex is very important for a healthy nervous system, especially in cases of stress and mood swings. It has been estimated that deficits of folic acid can lead to depression and mood swings. As these vitamins are often not correctly stored in the human body, it is very easy to develop a vitamin B complex deficiency. Once there is a deficiency of vitamin B, certain signs and symptoms like mood swings, fatigue, muscle weakness, depression, stress and an inability to control it develop. Sometimes eating healthy foods packed with vitamins for mood swings is not enough and taking vitamin B complex supplements is necessary. According to the National Institution of Health, women should take about 400 micrograms of folic acid a day, while men should take about 500 micrograms of folic acid a day. You probably heard about many health benefits of vitamin D. Just to remind you that vitamin D is very important for overall health, especially the health of our bones, the immune system and maintenance of overall well-being of our body. In cases of a vitamin D deficiency, fatigue, lack of energy, sleep problems, increased stress, mood swings and even depression may develop. Also, did you know that our own body can produce the necessary amount of vitamin D by exposing to the sun? For this reason, regular sun exposure is very important for a good health. However, this is not enough and foods that are packed with vitamin D should be part of the daily diet. Foods that are a good source of vitamin D include mushrooms, tuna, trout, salmon, mackerel, fortified cereals, fortified dairy products, etc. The recommended intake of vitamin D for adults is about 600-800 IU a day. Vitamin C is well known for its antioxidant properties, boosting this way the immune system, improving mood swings and the emotional well-being of a person. Certain fruits like oranges, kiwis, red peppers are rich in vitamin C.
Are you looking for vitamins for mood swings? Vitamin E found in certain foods like tomatoes, mangos, pumpkins, nuts, etc., will help the human body maintain a healthy nervous system, helping this way to deal with stress, frustration and mood swings. By eating foods that are rich in vitamin E or by taking vitamin E supplements your emotional state and mental health will be improved. It has been estimated that low levels of calcium have been related to PMS depression. For this reason, calcium deficiency and mood swings are more commonly related among women than men. The recommended calcium RDA is 1,000 mg per day for adults. Foods that are packed with calcium include yogurt, milk, collard greens, etc. Chromium plays an important role in the metabolizing process of various foods in the body even though this mineral is found only in small traces. Chromium deficiency interferes with the body’s ability to regulate insulin, a hormone produced by the pancreas very important in the regulation of sugar blood levels, leading often to development of diabetes and various diabetes complications. Chromium is also known to play an important role in the regulation of our emotions and moods, due to the fact that it increases the levels of serotonin, melatonin, and epinephrine in the brain. The recommended chromium RDA is 25 mcg per day for women and 53 mcg per day for men. Good food sources of chromium are potatoes, broccoli, turkey breast, grape juice, etc. Iron is very important in the transportation process of oxygen throughout the human body. Low levels of iron lead to anemia, fatigue, muscle weakness and depression. The recommended iron RDA is 19 mg per day for women and 8 mg per day for men. Good food sources of iron are lentils, soybeans, fortified oatmeal, etc. Magnesium is one of many minerals that play a very important role in the overall health of the human body. Magnesium deficiency is linked with mental confusion, irritability, fatigue, predisposition to stress, mood swings, etc. Magnesium is known to play an important role in the production process of serotonin, a neurotransmitter in the brain which is a major contributor to our feelings and happiness. The recommended magnesium RDA is 310 mg per day for women and 400 mg per day for men. Good food sources of magnesium are spinach, almonds, peanuts, edamame, etc. Beside vitamins for mood swings, get enough magnesium. Omega-3 fatty acids are very important for the human body as they contribute up to 18% on the total weight of the human brain. The only problem with omega-3 fatty acids is that they are not produced by the human body, but need to be consumed from outside sources. Good food sources of omega-3 fatty acids are spinach, chia seeds, salmon, Chinese broccoli, etc. In cases of omega 3 deficiency signs and symptoms like fatigue, memory decline, depression and mood swings develop. There is no recommended RDA for omega 3 fatty acids. However, according to the American Heart Association consuming various kinds of fish at least twice a week is very important. Zinc is an important mineral for overall health as it is found in almost every cell of the human body. Low levels of zinc can lead to various signs and symptoms such as lack of appetite, hair loss, weakened immune system, depression, fatigue, mood swings, etc. The recommended zinc RDA is 8 mg per day for women and 11 mg per day for men. Good food sources of zinc are cashews, Swiss cheese, roasted pumpkin seeds, etc.